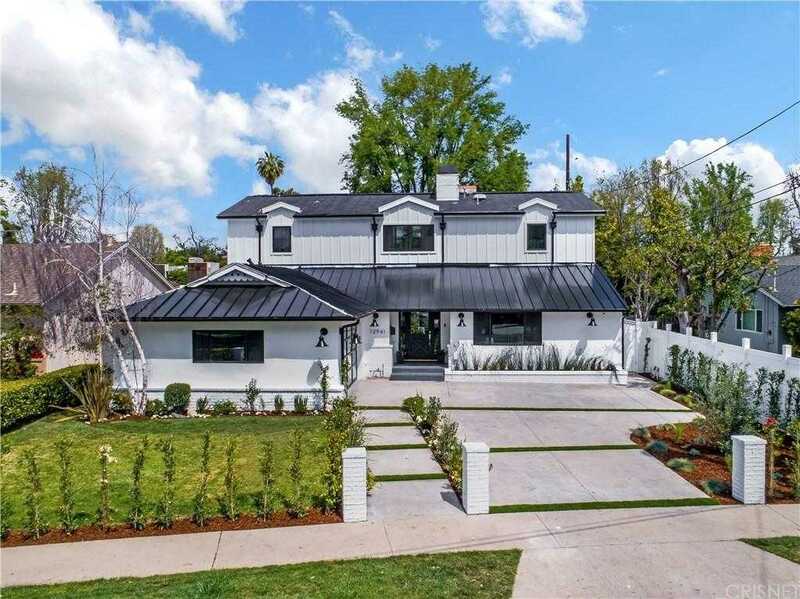 Stunning Traditional remodeled home nested in the desirable Hidden Woods of Sherman Oaks on a quite Tree lined street! This four-bedroom two story Beauty boasts great curb appeal! Walk up the manicured yard and enter your perfect home through a living room that wraps around to an open spaced Kitchen. Recess lights and gorgeous hardwood flooring throughout! The customized kitchen with quartz counter-tops adjoins to the dining room for pleasant entertainment and a powder room for guests! Two bedrooms privately situated on either side of the hallway on the main level are filled with lots natural lights! A beautiful stairway leads up the stairs to a fourth bedroom. The Master suite enjoys views from the window, walk-in closet and a gorgeous designed master bathroom! Spacious two car garage with a wide driveway! Ideally located near top rated Millikan Middle School. Central to many parks, restaurants, shops and entertainment! The Perfect Home you don?t want to miss! Building size: 2965 sq ft. Please, send me more information on this property: MLS# SR19076533 – $1,899,000 – 12941 Hesby Street, Sherman Oaks, CA 91423. This content last updated on April 18, 2019 18:38.